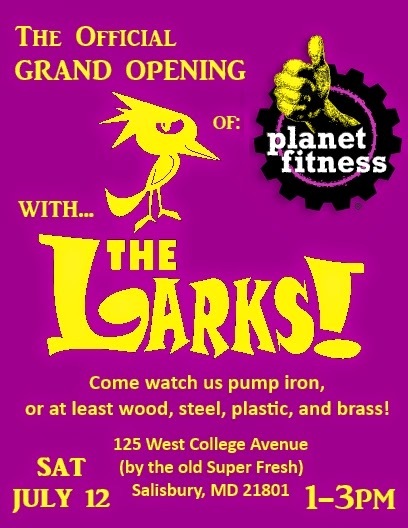 The Larks: It's a GRAND OPENING! Join us for some outdoor jams as we help open Planet Fitness of Salisbury. We'll be set up under a tent in the parking lot, serving food, drinks, and signing up people who are ready to get fit! The event starts at 11am and The Larks play at 1pm. That's Saturday, July 12th. See you then!